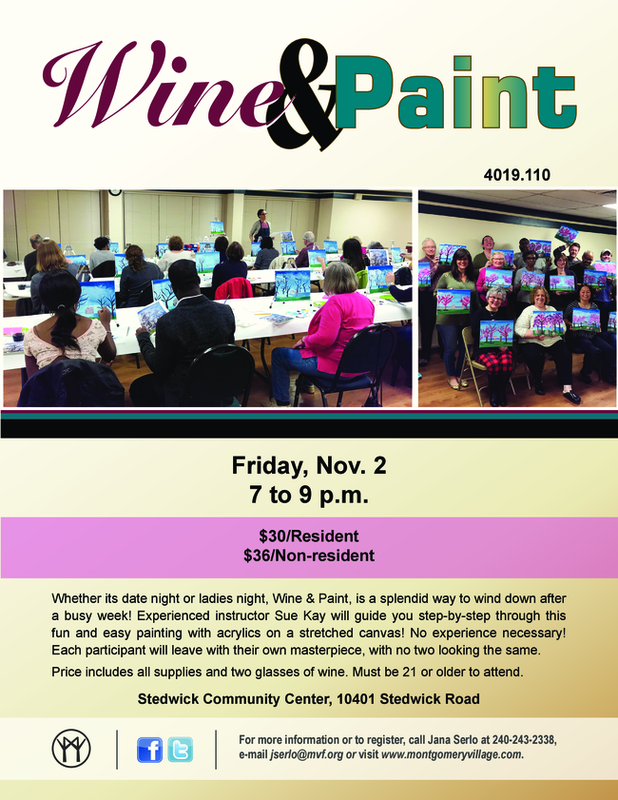 Unwind after a busy week with neighbors and friends at the Fall Wine & Paint Night. Sue Kay will guide you step-by-step through an easy but challenging acrylic piece on stretched canvas. 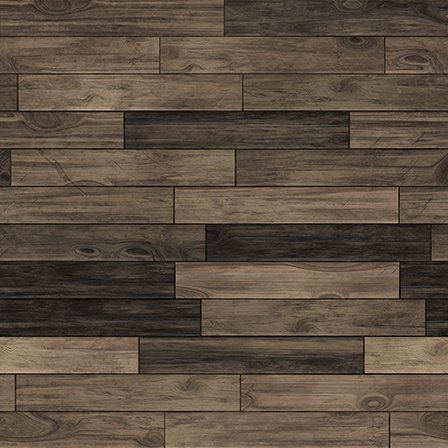 Price includes all supplies plus two glasses of wine. Must be at least 21 years old to attend. Call 301-948-0110 to register. Space is limited. re-useable Farmers’ Market Grocery Bag. Sell or buy handmade crafts. 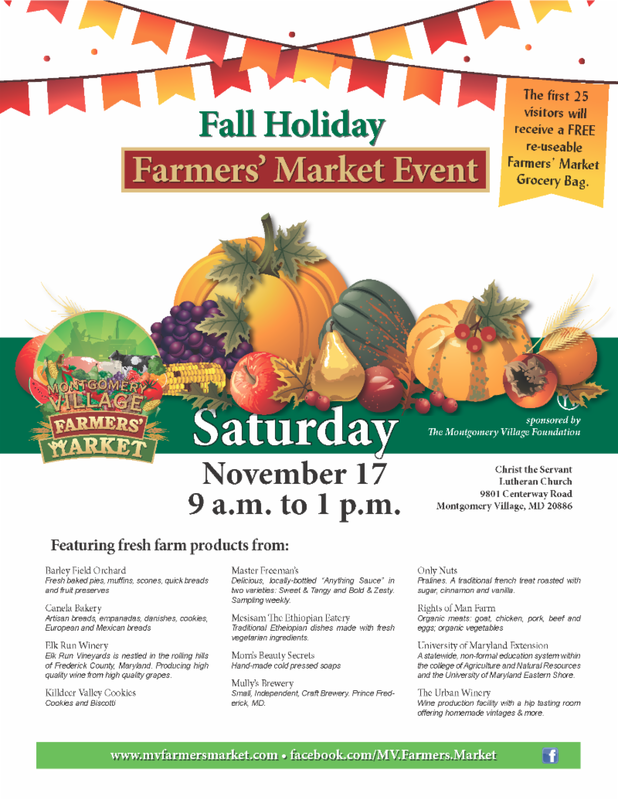 Free admission for shoppers! 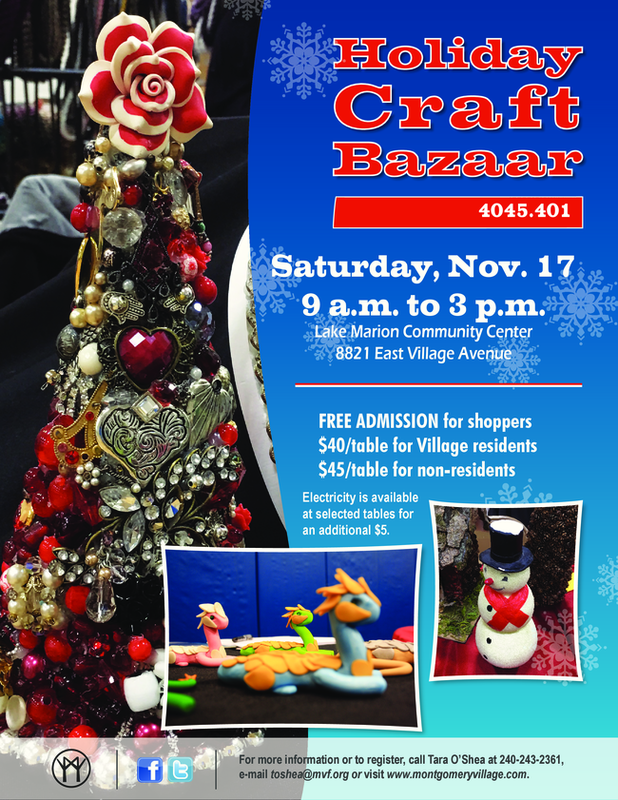 New this year - free children's activities will be provided while parents shop. Parents must remain in the building while children are participating in the free activities. Refreshments will be provided by local Girl Scout Troop 493. Thursday, Nov. 22, 9 to 10:30 a.m. Proceeds will be donated to Gaithersburg HELP. Begin your Thanksgiving morning with a 90-minute sampling of Jacki Sorensen’s Aerobic Workout and Aerobic Dancing led by fitness instructor Karin Baker. Free fun for the entire family. 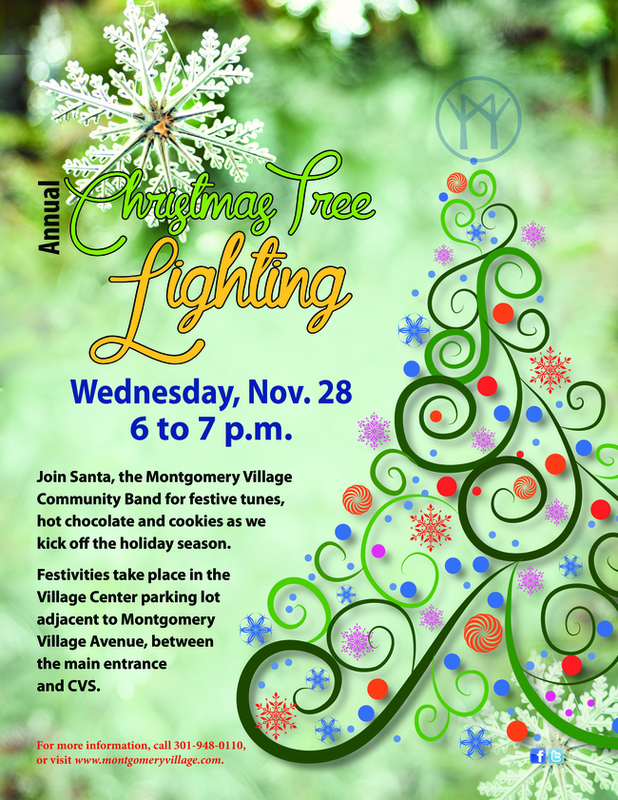 Join Santa and the Montgomery Village Community Band to kick off the holidays at the Montgomery Village Christmas Tree Lighting. The tree is located adjacent to to Village Center on Montgomery Village Ave, between the parking lot and CVS. Complimentary hot chocolate and cookies..